WSU course MUS 151 (offered on campus fall and spring, and online in summer session II). Click on the link for “OnMusic Fundamentals – Placement Exam.” Follow the prompts to check out. This full course costs $99.95, and is not for university credit (i.e., it will not appear on your university transcript). 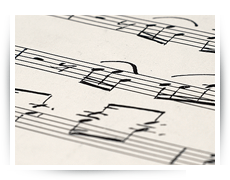 To take MUS 151 Music Fundamentals online for university credit, contact the Registrar’s office. What is on the connect4education diagnostic exam? Aural interval, triad quality, and scale (major and minor) recognition. How should I prepare for the online exam? If you feel that you have a basic knowledge of this information but would like some review, you are encouraged to use the following websites to practice both written and aural skills. com: the exercises area of this website contains drills for building and identifying intervals, scales, chords, and key signatures, as well as practice reading a variety of clefs. net: the exercises area of this website has a variety of drills for identifying notes on both the staff and the keyboard, as well as recognition of key signatures, intervals, and chords. Both sites have lessons and tutorials that present fundamentals information in a simple, easy to read format. What happens if I do not pass the online exam? You may retake the exam ONE time at no extra cost. Make sure you have reviewed the material before retaking the exam. To retake the exam, contact Dr. Scott Blasco (scott.blasco@wsu.edu) to have your first score reset. You may take the Connect4Education OnMusic Fundamentals full online course, or WSU’s online MUS 151 course. Earning a C or better on either will exempt you from the online diagnostic exam requirement, and will qualify you for entrance to MUS 251 in the fall. You may also wait until the WSU school year begins and take MUS 151 in either the fall or spring semester. As with the online version, earning a C or better will exempt you from the online diagnostic exam requirement, and will qualify you for entrance to MUS 251. It is important to understand that this will delay your progress in the core theory courses by a year, which may affect some students’ ability to complete the music major in four years. For questions about or assistance with the diagnostic/qualification process, registering for the for-credit online summer offering of MUS 151, or related issues with preparing for music theory study at WSU, please contact Dr. Scott Blasco at scott.blasco@wsu.edu.